How To Clean Your Coffee Maker – So Your Coffee Starts Tasting Better Again! Do you own a coffee maker? Probably. Most of us do. My coffee machine is due for a cleaning. Actually, it’s past due. Please don’t judge me when you see the before picture below. I seriously considered not adding any before pictures because of how bad it looked! But that wouldn’t be much help to you (and I’m here to help you out!) when comparing the before and after photos, now would it. Aside from needing a good cleaning, My coffee hasn’t been tasting as good as it usually does. That’s always a good sign that it’s time for a cleaning. 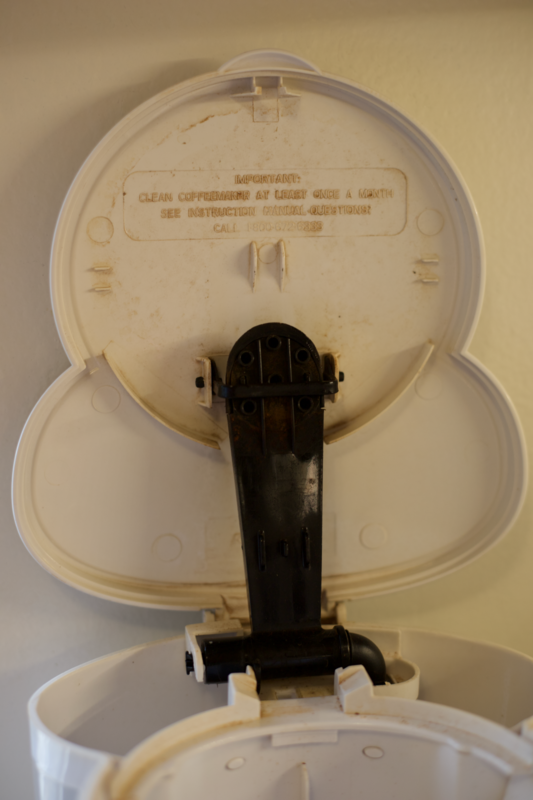 So what do I use when I need to clean my coffee maker? Vinegar! I have a drip coffee machine. They are fairly easy to clean. If you have another type of coffee maker, like a Keurig (I really want one of those! 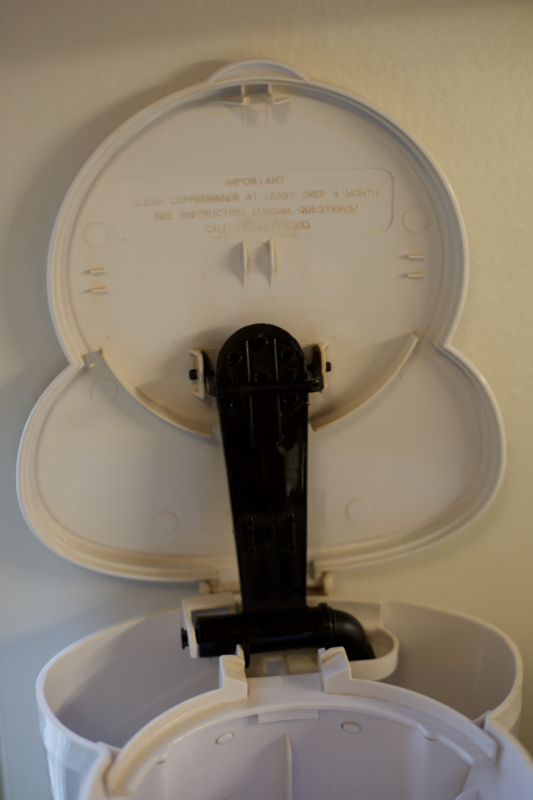 ), I think you may also be able to clean it out with vinegar but please check the manufacturer’s website to be sure. As for now, I will only focus on how to clean a drip machine. I learned how to clean a coffee maker with vinegar after watching a YouTube video from Brittany Vasseur. She creates amazing organization and cleaning videos! I’ve learned so much from her. Check her channel out on YouTube. I’m sure you’ll enjoy it just as much as I do. The Mr. Coffee website also recommends using vinegar to clean their coffee makers and that’s the brand I own. 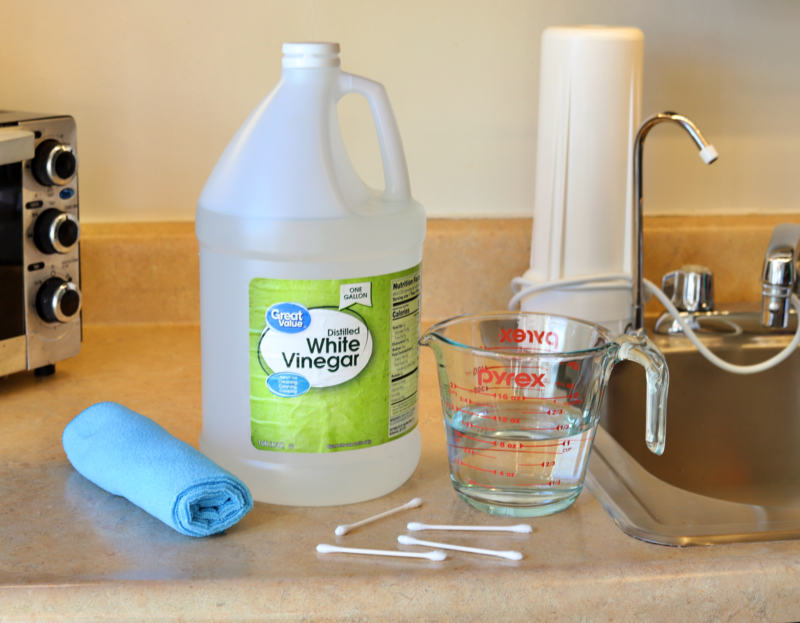 Start by filling your carafe with a solution of equal parts water and vinegar. 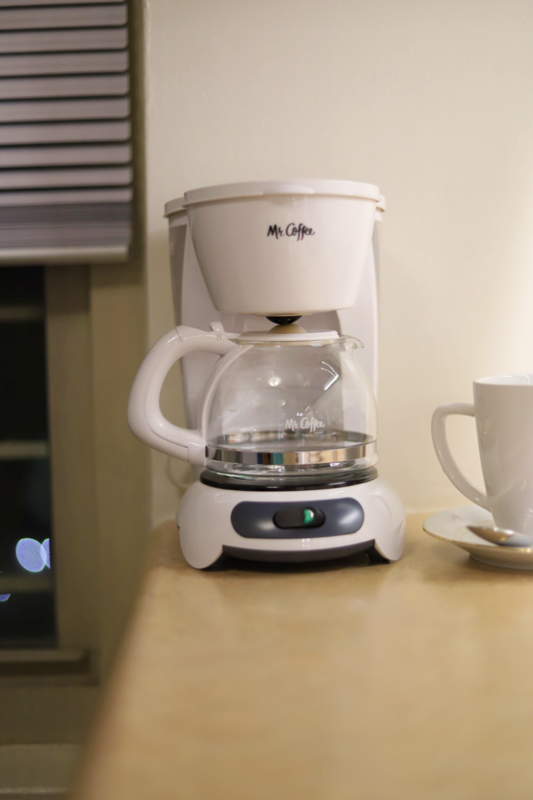 Pour your water/vinegar solution into your coffee maker just as you would when making coffee and run one cycle. Discard the water after each cycle. Wipe down the machine with your cloth. The heat from running the machine 3 times will have loosened everything enough so that you can easily wipe it clean. Next, use the cotton swabs to get into all the tiny little areas that your cloth cannot get into. 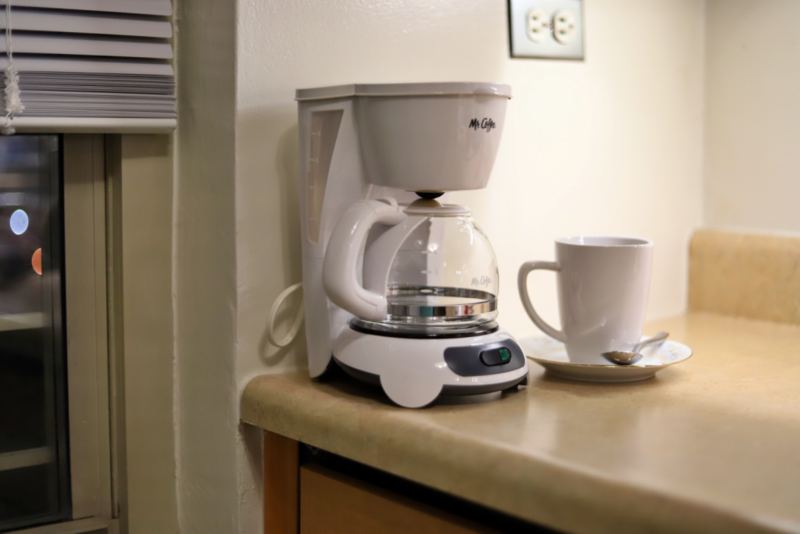 Your coffee maker is now ready to serve up some yummy tasting coffee again! I really tend to get off topic, you may have already picked up on that if you’ve read any of my other posts. This time I figured I’d ramble a bit at the end that way I won’t feel bad if I go on too long. If you’re not interested that’s ok, I won’t be offended. Hope you have an awesome day (or night) and thanks for visiting my blog! So, do you own a Keurig? They seem to be very popular now. Like I mentioned above, I really want one. Funny, for a long time I had no interest in them. I worried that the coffee would have a processed taste to it, you know, not homemade. The whole concept of it just seemed odd to me. Coffee out of a little pod, huh? But I’ve seen them a few times on QVC and they really know how to make anyone fall in love with that machine (or anything else for that matter) It seems to make just about any drink under the sun. Coffee, tea, hot chocolate, juice you name it the Keurig seems to be able to make it. Is it too good to be true? I’m wondering what’s the price to pay for this one-stop beverage shop machine. Are the pods going to run me into the poor house? I may just have to add it to my birthday or mother’s day or Christmas wish list to find out (so many opportunities for a gift, hehe) what’s your opinion on the Keurig? Do you own it and like it or can you do without it?